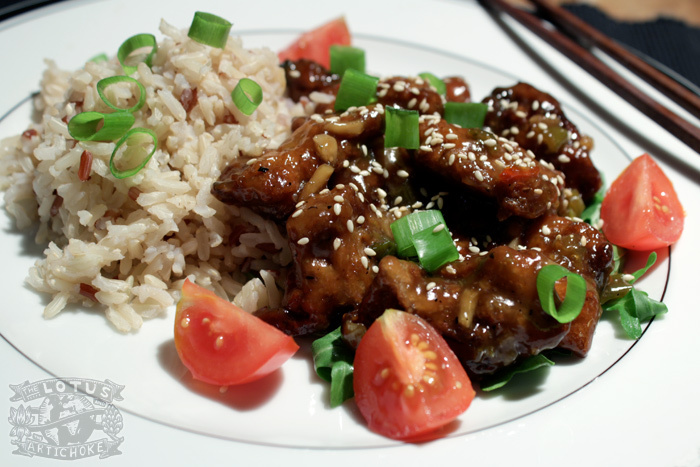 I’ve experimented and refined this Vegan General Tso’s Chicken recipe for over ten years. I always have fun making it, and the results are always delicious. This month when I made a few changes, I really nailed it, and I’m ready to go public. It finally tastes almost as amazing as the General Tso’s Chicken made by my favorite vegetarian Chinese restaurant in the world: New Harmony in Philadelphia. I’ve been to a lot of vegetarian Chinese places in a lot of cities and countries. This place stands out. And this dish is one you’ll never forget. Mildly spicy, a touch of citrus and sweet. 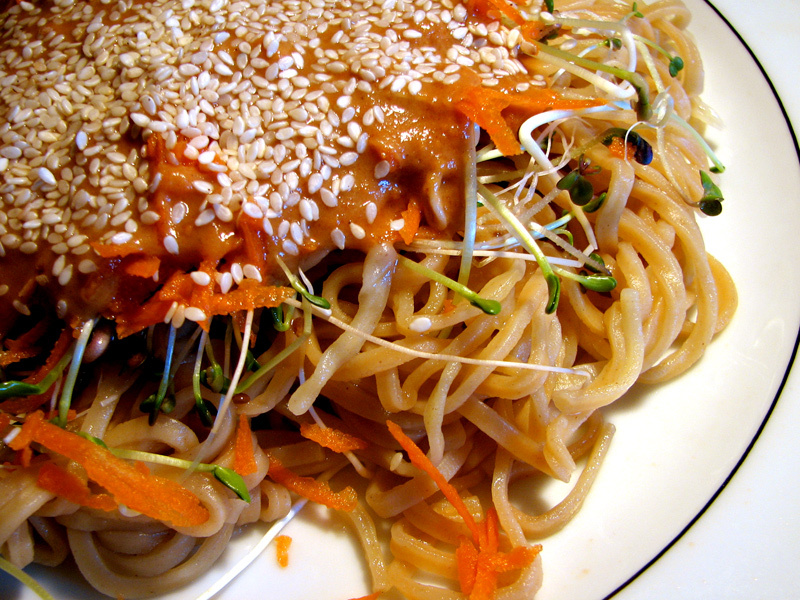 Crunchy batter-fried chewy seitan in a crazy tasty sauce. Such good stuff!